wants to be heard and seen on a bigger stage. 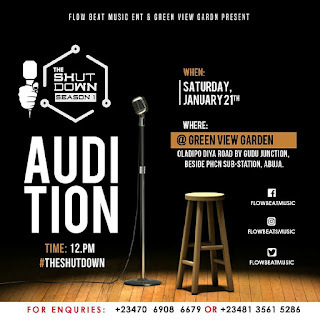 Then turn up for #TheShutDown Auditions. For more details read the above information. Powered by: Flow Beat Music ENTs.